The retirement coverage that would become CSRS Offset was created on January 1, 1984, when mandatory Social Security coverage for federal employees was implemented. Federal employees hired after that date usually have to be covered by Social Security. As you can imagine, though, it’s impossible to have a clean break in massive programs like CSRS and Social Security; there were bound to be some overlaps and clashes between the two, and so CSRS Offset was born. If such “vested” individuals return to government service after 1/1/1984 and after a break in service of at least a year, they face the likelihood of being covered under Social Security. CSRS Offset provides a way for vested employees to retain the best features of the old CSRS system while also being covered under Social Security. When employees are covered under the CSRS Offset provisions, they pay into both CSRS and Social Security. The employee contribution to CSRS is reduced, though, from the standard 7% of salary to just .8% (or from 7.5% to just 1.3% for special category employees). This means the total “cost” of retirement coverage is the same – 7% or 7.5% of salary – for both CSRS and CSRS Offset. CSRS employees pay their entire contribution into CSRS; CSRS Offset employees pay only .8% or 1.3% into CSRS and the remaining 6.2% into Social Security. If you are CSRS Offset and your salary exceeds the limit for Social Security taxation ($132,900 in 2019), you will stop paying into Social Security when you reach the limit. However, the 6.2% of salary that was going to Social Security will be diverted to CSRS for the remainder of the tax year. Creditable service is defined in exactly the same way for CSRS and CSRS Offset. But this is where CSRS and CSRS Offset part ways. CSRS retirees receive the full pension amount for the rest of their lives. 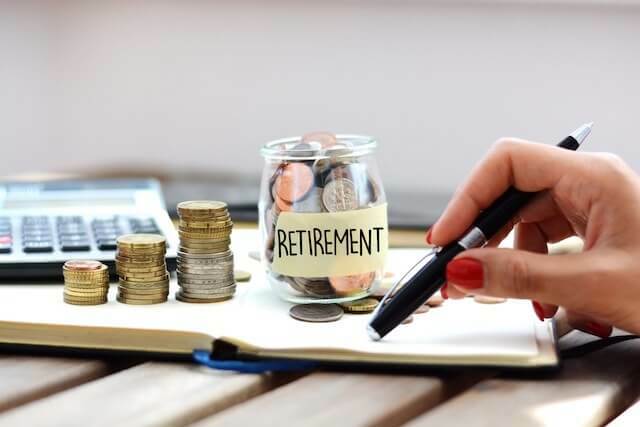 CSRS Offset retirees receive the full amount only until they reach age 62, at which time the pension is offset (or reduced) if the individual is eligible for Social Security benefits at that time. The offset occurs even if the retiree doesn’t apply for Social Security benefits. If retirees are already 62 or older when they retire, the offset occurs immediately. It makes sense for CSRS Offset retirees to eventually receive somewhat lower pensions than regular CSRS retirees; after all, they didn’t make the full employee contribution to CSRS throughout their careers. It also makes sense for the full pension to be payable until Social Security is available, when the reduced pension can be supplemented by Social Security. But “making sense” in the larger scheme of things and being comfortable financially don’t necessarily go hand in hand… No one said life would always be comfortable. So OPM will offset/reduce the CSRS pension by an amount that is roughly equal to the Social Security benefit that was earned during the years the employee was under the CSRS Offset provisions (and only those CSRS Offset years). The part of the pension that is based on years of regular, full CSRS contributions is not reduced. The actual Social Security benefit earned during the CSRS Offset years is nearly impossible to calculate until your working life is over, so #2 is commonly used to estimate the offset amount. The result is the highest amount the offset could be. Does this mean you must apply for your Social Security benefits at age 62? No. But if you can’t survive that reduction in your income, you may need to do something to make up the loss. Maybe this is when you start drawing on other retirement savings such as IRAs, investments or the TSP… or you apply for Social Security. « It Wasn’t Me, It Was the Brownies!